What better way to send your patient home than with pertinent information that’s organized in one place? This new glossy folder has a traditional horizontal pocket on the inside left-hand side with a space for your appointment card. On the inside right is a vertical pocket - perfect for post-visit instructions and topic handouts from PatientSmart. 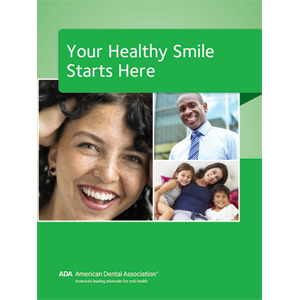 The pocket also has a slit that fits a standard ADA brochure and includes daily oral health reminders. 9"x12", Pack of 50.